Are you searching for the best orthodontist & TMJ Specialist for braces treatment in Mirdif ? If you are looking for the best orthodontist in Uptown Mirdif or near Mirdif city Center in Dubai, for your braces or invisalign treatment at a reasonable cost, you don’t have to search any further! Dr. Nazeer is dedicated to providing the latest orthodontic treatment in a friendly and comfortable environment with the state of art technology and equipment. Our orthodontist is one of the best and trusted experienced Invisalign provider in Dubai. You have an interest free and easy monthly payment plan for the correction of all your orthodontic problems. We have a fixed and transparent pricing for all our orthodontic treatments and our fees reflects the exceptional quality, care and treatment result you get. Your smile is really precious and is one of the first thing which people notice about you. 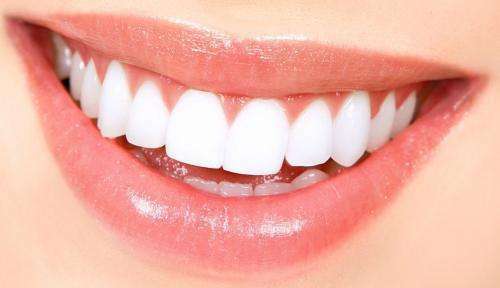 We understand that and ensure that you will get the best possible smile not only at the end of the treatment but even during the entire treatment! We offer the best quality treatment for all our orthodontic patients in a wonderful work environment filled with positive ambiance. Advanced braces and invisalign treatment at affordable cost will be easy on your pocket. It will be a totally different experience as you will find that the dental clinic is a pleasant place to be in and you will feel welcome! Good ambiance, best in class dental clinic in Dubai, premium quality braces, highly experienced orthodontist and a reasonable treatment fee is a dream combination, which will make you pleasantly surprised. Mirdif is a residential area in Dubai and is well connected to other parts of the city including Downtown, Business bay, International city, Dubai world trade center and Dubai festival city. Mirdif city center is a mall in the residential area of Mirdif. Al Mizhar, Al Warqa, Muhaisnah and Al Khawaneej are very close to uptown Mirdif and are easily accessible. Mirdif is conveniently located adjacent to Rashidiya metro station and Dubai International airport. Dr. Nazeer Ahmed has been practicing in Mirdif for more than a decade and is one of the highly recommended orthodontist in Dubai. Experienced in all kinds of the latest and advanced braces system including invisalign, Dr. Nazeer understands his patient needs and gives them the exact outcome & smile they want! We use the best and top quality braces to ensure that your entire treatment journey is comfortable and you get excellent results. He strives to give great attention to detail and will ensure that you get the best possible treatment result. He provides outstanding and affordable orthodontic care for adolescents and adults. Good orthodontic treatment is important for functional occlusion. It is always good to get your orthodontic treatment done with the best orthodontist who is an expert in functional occlusion and TMJ, as a badly done orthodontic treatment can ruin your occlusion and damage your TMJ in the long run. Sometimes, a badly done orthodontic treatment is impossible to be corrected at a later stage. A balanced and functional occlusion plays an important role in maintaining temporo-mandibular joint (TMJ) health. Improper occlusion has scientifically been scientifically proven to cause temporo-mandibular joint pain and clicking while opening and closing your mouth. Some patients find it extremely disturbing and impacting their every day life. TMJ dysfunction can also cause facial muscle tenderness, jaw pain, neck pain and head ache. As an award winning Specialist Orthodontist, Dr. Nazeer is dedicated to creating beautiful and healthy smiles. He is also an expert and Specialist in TMJ function. He ensures that his patients get the best orthodontic treatment as well as perfectly straight teeth and a healthy bite. Dr. Nazeer embraces the latest new technology and combines it with years of experience to ensure that you get that amazing smile you can feel proud of! When people think about braces, they picture metallic train tracks on their teeth and the metallic smile associated with the braces during the entire treatment duration. Braces treatment used to range between 14-24 months and adults did not prefer them, instead asking for a more discreet or invisible way to straighten their crooked teeth. Today you have different options to choose from and you can explore the various ways of correcting your teeth by sitting down for a discussion with your orthodontist in Mirdif. Our orthodontist is a certified specialist of invisible braces and has the necessary expertise to give you a confident and beautiful smile along with the best occlusion or bite. Invisalign or invisible braces offered at our Mirdif practice, are the advanced and invisible alternative to traditional orthodontics. Using a series of clear aligners, Invisalign braces comfortably align your teeth without your cheeks being poked by metal wires or your lips irritated by metal brackets. Wearing Invisalign braces is almost like wearing no braces at all. These revolutionary invisible braces return self-confidence to our patients as their smiles are restored back to their full glory. No longer will wearing braces leave you feeling self-conscious about smiling. Your Invisalign braces will be virtually invisible to almost everyone. Unlike their traditional, metal counterparts, Invisalign braces are removable. These remarkable invisible braces available at our dental clinic in Mirdif can be taken out when you are eating, flossing or brushing your teeth. Teeth straightening treatments or braces can address issues such as irregular teeth, crowding of teeth, crooked teeth and gaps; fixing these issues not only creates a beautiful smile, but also improves the health of your teeth and gums, alongside a regime of regular flossing and cleaning. Cheapest and best orthodontic treatment with an experienced specialist in Mirdif can be highly affordable with an easy payment plan. Visit your orthodontist to find out more details about the various options as well as the treatment fee involved for the different orthodontic braces. Many patients think that orthodontics is just straightening teeth or fixing braces for protruding teeth and are happy if their orthodontist is able to do it for them. We go one step further and conceive a treatment plan which takes into account the whole of the patient’s face, their profile, jaw position, bone density, gingival health and the lip as well as the muscular structure. We call this higher level of orthodontic care as “Facial profile driven orthodontics”. You orthodontist will go the extra mile for you to ensure you get the best treatment result. This results in the creation of beautiful smiles which can make you look years younger! So what are you waiting for? Book an appointment for consultation with Dr. Nazeer to know about the different treatment options available for you! Get ready to flaunt your new Smile!